Inspired by the fold-away table, the fold-away deckchair associates practicity and design on board. 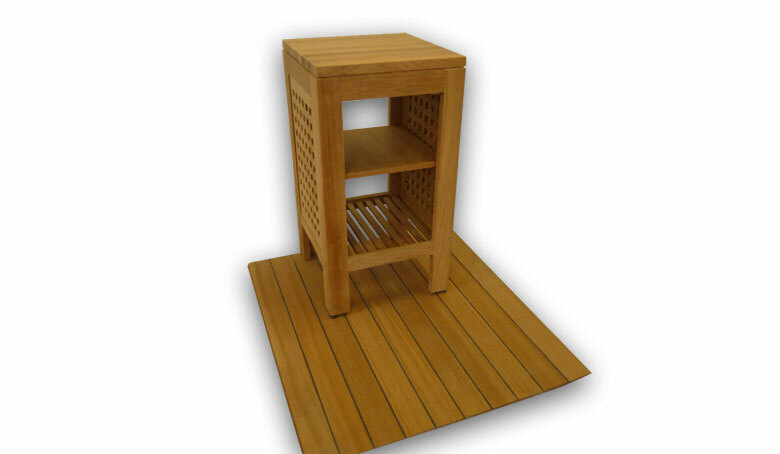 Whenever you want to relax, the deckchair opens up with a few movements thanks to its gaz spring. Two relax positions are available. 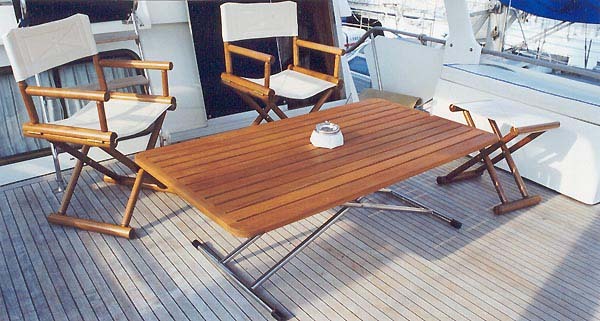 At night, or when sailing, it folds down perfectly into the deck (flush-deck) for a free movement area. 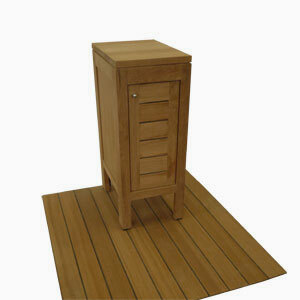 Therefore, it requires no storage space, an essential advantage on a boat. 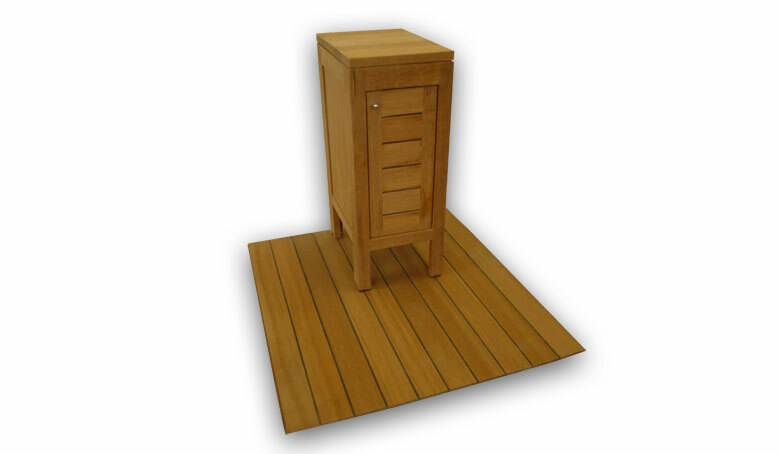 We supply bathroom furnitures to your dimensions. Made of teak wood, it will be durable. You'll find different models on page realisations. 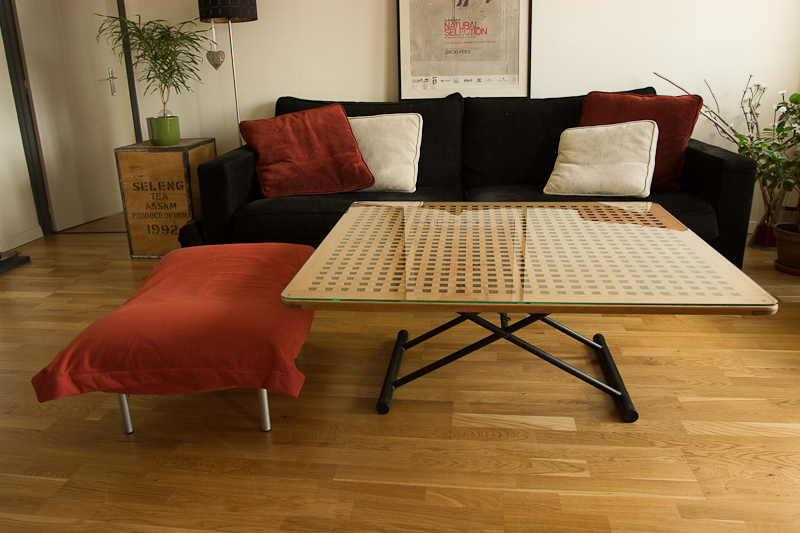 Made in our workshop with the same quality criterias as our cockpit tables; this table can be used in a garden or in the house for a comtemporary atmosphere. 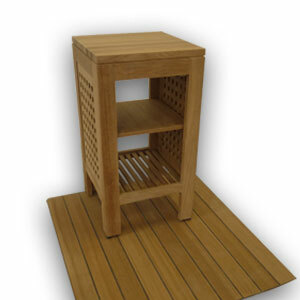 Made with a traditionnal teak gratings or with unjoined teak slats with tenons and mortise on a frame. 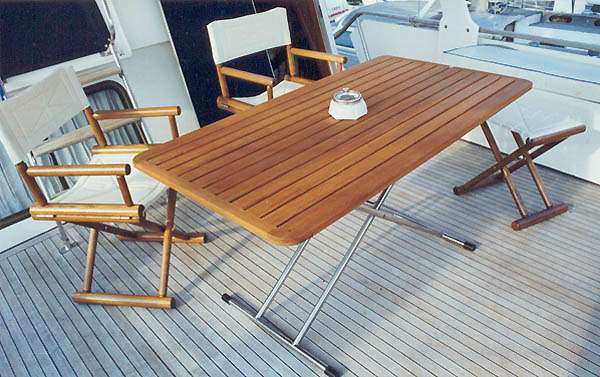 Burman teak of quality, without blemish. Easy to store with a total thickness of 53mm (63mm if hedges required ) once folded. 140 x 76 cm, 125 x 70 cm, 114 x 70 cm , 100 x 60 cm." 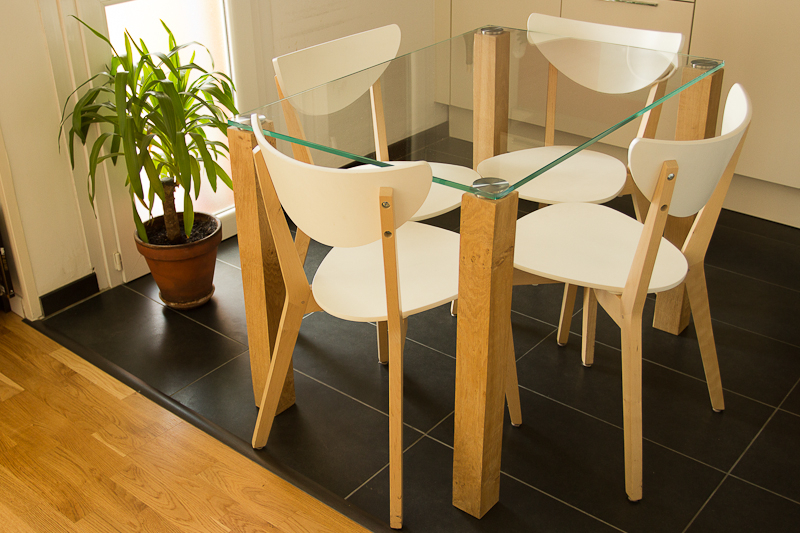 We do on demand modern furnitures by associating high quality wood species and materials of quality ( toughened glass, stainless steel...) in order to make durable, practical and design products.